The New World Translation of John 1 seems to indicate that Jesus was a separate god from the Father. 1 In [the] beginning the Word was, and the Word was with God, and the Word was a god. 2 This one was in [the] beginning with God. 3 All things came into existence through him, and apart from him not even one thing came into existence. How does the concept of the trinity fit with this concept of Jesus being a separate God? That bold part is, somewhat literally, "God the word was". The issue here is the lack of the indefinite article in Greek. They had no word for "a, an". Depending on context, it is acceptable and even necessary to insert those words into a translation. The question is whether or not it is appropriate here. I think not, for lots of reasons. John and all the apostles were Jews, monotheists, and if they were teaching some new polytheism, wouldn't it have shown up in more places than an ambiguous Greek sentence? Greek usually uses the definite article in front of proper nouns, which is probably what you're getting at. But in this case the lack of the article before θεὸς is easily explainable. A word-by-word translation would be "God was the word". Word order is flexible in Greek, and since both θεὸς and λόγος are in the nominative case, it would be impossible to determine which is the subject and which is the predicate nominative except for the placement of the article. ὁ λόγος clearly identifies λόγος as the subject, but ὁ θεὸς ἦν ὁ λόγος would be ambiguous (God was the word, or the word was God?). The New World translation is incorrect in its translation of this verse for several reasons. First of all, the Bible teaches a strict monotheism. To say that Jesus is "a god" is to suggest that there is another god besides YHWH, which is contrary to scripture (Isaiah 43:10; 44:6,8, etc.). Of course, the Jehovah's Witnesses will respond that Jesus is not the Almighty God, but a "lesser" kind of God. I believe this was actually translated in this way to support their beliefs, rather than basing their beliefs on accurate translations. You're reading from the Jehovah Witnesses' version of the bible. The Witnesses preach that Jesus is a separate God. Jesus IS GOD. There's a thousand verses that back this up, but the Witnesses deny Jesus of His deity. They actually try and teach that Jesus is a created angel, which the Bible states the exact opposite. Jesus IS GOD. John 5:16-18 Therefore did the Jews persecute Jesus, and sought to slay him, because he had done these things on the sabbath day. But Jesus answered them, My Father worketh hitherto, and I work. Therefore the Jews sought the more to kill him, because he not only had broken the sabbath, but said also that God was his Father, making himself equal with God. Colossians 1:16 For by him [Jesus] were all things created. Colossians 2:9 For in him [Jesus] dwelleth all the fulness of the Godhead bodily. 1 Timothy 3:16 God was made manifest in the flesh. This question does a good job at explaining part of your question, especially the answer with a lot of references: What is the Biblical basis for the doctrine of the Trinity? There are plenty others, but these seem to me to be the most clear in support of a Jesus is God stance. John 17:21- In the intercessory prayer, Jesus explains the meaning of "one-ness"
A good way to think of the Trinity is three persons sharing one infinite nature. That is, the way in which God is one is not the same as the way in which he is three; not that he is somehow three of one thing and at the same time one of that same thing, but that he is three of one thing and one of a completely different thing. As humans, we're used to being one person and having one nature unique from other persons so it's hard, but not impossible, for us to conceive of a single nature shared by three people. A great treatise on the Trinity can be found in the first part of Frank Sheed's "Theology and Sanity". It is not that hard look at the meaning and translate the words. Also remember that even Satan is referred to as a god. We don't worship Satan, but he is referred to in 2 Corinthians 4:4 as "The god of this system of things". God simply means having more power than what a human does or superhuman. Jesus was a god, but when the bible talks about YHWH it magnifies his god-ship with almighty and so on. Another example of this is 1 Corinthians 11:3. It shows the hierarchy of Jehovah's arrangement. The woman submits to the man, the man submits to the Christ, and the Christ submits to god. John 1:14 shows the relationship between Jesus and god. It says he is the "only begotten son from a father". That is Jehovah is the father of Jesus. So to directly answer your question yes Jesus was a separate god from Jehovah or YHWH. We don't worship Jesus, but we do recognize and respect his sacrifice to save us. No. Jesus isn't a separate god. Majority of English Translations does not read 'a god' in John 1:1c. New International Version In the beginning was the Word, and the Word was with God, and the Word was God. New Living Translation In the beginning the Word already existed. The Word was with God, and the Word was God. English Standard Version In the beginning was the Word, and the Word was with God, and the Word was God. New American Standard Bible In the beginning was the Word, and the Word was with God, and the Word was God. King James Bible In the beginning was the Word, and the Word was with God, and the Word was God. Holman Christian Standard Bible In the beginning was the Word, and the Word was with God, and the Word was God. International Standard Version In the beginning, the Word existed. The Word was with God, and the Word was God. NET Bible In the beginning was the Word, and the Word was with God, and the Word was fully God. Aramaic Bible in Plain English In the origin The Word had been existing and That Word had been existing with God and That Word was himself God. GOD'S WORD® Translation In the beginning the Word already existed. The Word was with God, and the Word was God. The translation "the Word was a god" makes us ask in what way is Jesus divine? 1) True God - God by nature [Trinity: Mt. 28:18;Jn. 17:3;Col 2:9; 1 Jn. 5:20-21). 2) God by function ( Shaliach Principle) - not god by nature [angels: Ex 15:11; humans: Ex 7:1, Ps 82:6-7]. 3) False gods - not gods by nature [idols/demons/Satan: 1 Cor. 8:5; Gal. 4:8, 1 Cor. 4:4]. So, where does Christ belong? Christ cannot belong either to the gods by function or to the false gods because he is , fully and completely, God by nature ( Col. 2:9;Jn 10:28-30).He can only belong to the Trinity -- three ontologically equal and functionally subordinate persons ( Mt. 28:19). Angels are called 'gods' in Exodus 15:11 but these angels are not , by nature, gods. Rather, they are created by God (Psalm 33:6, Colossians 1:16). But these humans were not ,by nature, gods. Rather, they were merely such by title never by nature. Satan himself is the god of this age (2 Corinthians 4:4).Yet we know that Satan is not, by nature, a god. These deities are false simply because they are not gods by nature. On the other hand, Jesus Christ is, fully and completely, God in nature ( Colossians 2:9). He is of same nature with the Father (John 10:28-30;Hebrews 1:3). In Him dwells all the completeness of the Godhead bodily"( Colossians 2:9 NLT). A "nature" is something inherently belongs to someone. The Divine Nature, in the context of the true God, is the nature of God himself. Nature means "set of attributes." THEOS in qualitative sense ( as in John 1:1). THEIOS -divine nature ( Acts 17:29). THEIOTES -divine nature ( Romans 1:20). God is eternal ( without beginning or ending of life) and hence, his attributes are all eternal. God's nature is eternally one ( Exodus 3:14, Romans 1:20) and it only exists in the three persons: Father, Son and Holy Spirit ( Matthew 28:19).Humans and angels, the Pantheon of the Greeks, are all "not gods by nature"( Galatians 4:8). The concept of "Trinity in Unity," where the Father, the Son and the Holy Ghost are a mysterious 3-in-1 composite being, is not Biblical and has no actual justification anywhere in scripture. Aside from the introduction to John, look at the baptism of Jesus, where Jesus is shown to be in the water, the Father in Heaven, and the Holy Ghost descending upon Jesus in the form of a dove, as three separate and distinct entities. See also the Crucifixion, where Jesus cries out in anguish at the Father "forsaking" him, leaving him to suffer alone. The notion of the Trinity comes from Greek philosophy, which was greatly in vogue in the Roman empire during the early Christian period. The Holy Trinity as "Trinity in Unity" bears a much closer resemblance to some of Plato's notions about Deity than it does to anything in the Bible. Not the answer you're looking for? 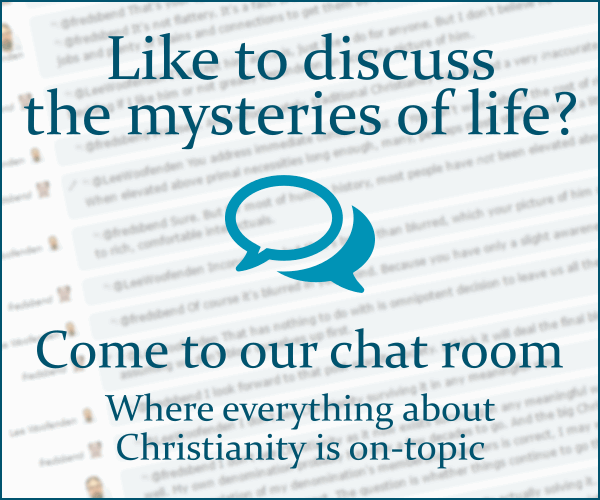 Browse other questions tagged life-of-jesus divinity jehovahs-witnesses or ask your own question. What passages support that God once walked the earth as a man? What is the biblical argument against the claim that Jesus is just “a god”, but not “God Almighty”? Do any denominations object to writing/ saying “the god” instead of “God”? Why is God three persons rather than four or more? Does the theology of Arians and Jehovah's Witnesses admit that God was at one point ἄλογος? Are there designated circumstances for making prayer to Jesus and making prayer to God? Why was Christ's sacrifice such a big cost? Why do Christians pray to Jesus instead of to God the Father directly, and isn't it risky? How do trinitarians explain Luke 4:8, if he's a God himself? Jesus rejects equality with God - How does this statement reconcile with traditional teachings? Is it accurate to say Jehovah's Witnesses do not view Jesus as divine?